Sébastien Bigo graduated from the Institut d’Optique Graduate School, in 1992. In 1996, he received a PhD degree in physics for a work devoted to all-optical processing and soliton transmission. He joined Alcatel Research & Innovation (now Alcatel-Lucent Bell Labs) in 1993, while being a student at the University of Besançon, France. 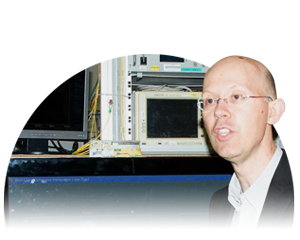 In 1997, he started studying high-capacity WDM terrestrial systems, and conducted large-scale demonstration experiments, at 10Gbit/s, 40Gbit/s, 100Gbit/s and 100Gbit/s channel rates. He is currently heading a research team devoted to optical networks. He has authored and co-authored more than 230 journal and conference papers, and 35 patent. 2000, High Speed Award from Alcatel chairman and top executives as one the five leading contributors of the successful TeraLightTM Fiber project (several millions of km sold). 2003, Grand Prix Général Ferrié, from the French ICT society. 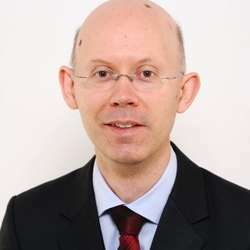 At the end of 2011, Sébastien Bigo was elected to serve as Member of the Board of Governors of the IEEE Photonics Society for a three-year term. In 2014, Dr Bigo is Technical Program Chair of ECOC 2014, Europe's largest conference on optical communication, in Cannes, south of France. E. Desurvire, B. Desthieux, D. Bayart and S. Bigo, « Erbium-doped fiber amplifiers : device and system developments », J. Wiley & Sons, New York, 2002. Sébastien Bigo is inventor or co-inventor of more than 35 patents.